A huge thanks to Latergramme for this sensational post on managing your brand on Instgram. What everyone needs to know. Over 85% of top brands are regular users on Instagram, and with good reason! According to Forrester Research, brands that post frequently have an average engagement rate of 2.3%, which is miles ahead of both Facebook (0.2%) and Twitter (0.02%). But even with high engagement, every brand on Instagram faces the same challenge: Instagram doesn’t allow you to add clickable link in photo captions. Your Instagram bio is prime real estate to promote your brand, and it’s the only place your community can click through to learn more, shop, or read a blog post. Crafting a good Instagram bio that is relevant, engaging, and specific to your brand is key to capturing your audience and getting your community to engage with your website and business. Include your full name or company name along with a way to contact your business in your bio. The contact information could be an email address, company location, or telephone number depending on how you want your community to get in touch with you. Add your brand website to your bio in the area for the URL. If you have a specific article or link you want to track and/or promote, you can switch out your website homepage link with the specific URL to the page that you want followers to click on. You can also add a shoppable link to a specific product and details for any upcoming promotions or sales, and tell followers that the link to shop or learn more can be found in your bio. Including the username for any other social channels you want to promote is a great way to get your Instagram community to connect with you on other platforms. Keeping your social handles fairly consistent makes it easy for followers to connect with you on other platforms. Include your username for platforms such as Snapchat, Twitter, Facebook, or Pinterest. If your brand has it’s own hashtag, be sure to add it in the bio so your community knows how to tag their photos. This way, you have the ability to collect user-generated content to repost at a later date by searching the hashtag. You can also add the hashtag for a contest or time stated campaign that you’re hosting. Note: The hashtags in your bio area are only clickable via the web app, not the mobile app. Include emojis in your bio to share a bit more personality with your Instagram community. Adding emojis to your Instagram bio makes your brand memorable, as a pop of colour via icon expression stands out more than simple text. Emojis are the closest thing to visual expression that there is in the app, and a few emojis can go great lengths in attracting the attention of followers. Stephanie writes about social media strategy, editorial management and community growth hacking. You can follow her on Instagram or Twitter @byStephie. was a newfound confidence, and a whole ocean of weird and wonderful creatures to create. of the subjects Christian has successfully completed. their mutual creativity is a huge asset to the finished product. all across Australia to collect the works. “I only ever wanted to be an artist if I could find something unique to do,” he says. their reaction is typically the same. “They usually swear,” he says with a laugh. the interesting sea creatures he sculpts at www.christiangundesen.com created by Share The Word Design Studio. You can also follow ‘Christian Gundesen Oceanart’ on Facebook. Did you know that every year, 2 million Australians will experience hunger? But, over the same period, we’ll also waste 200kg of food for every man, woman and child in the nation. Doesn’t make sense, does it! Being a part of an event such as Skinny Duck raising $130,986.95 supporting FareShare is such an achievement. In turn, this creates 260,000 meals for Melbourne’s underprivileged. Children who would normally go to school hungry, will be able to eat, and that’s what feeding our community is about. We are all better people on a full stomach. Each person on the Skinny Duck Team voluntarily offered himself or herself for a service on this project and for this reason, it makes Skinny Duck all that more special of an achievement. 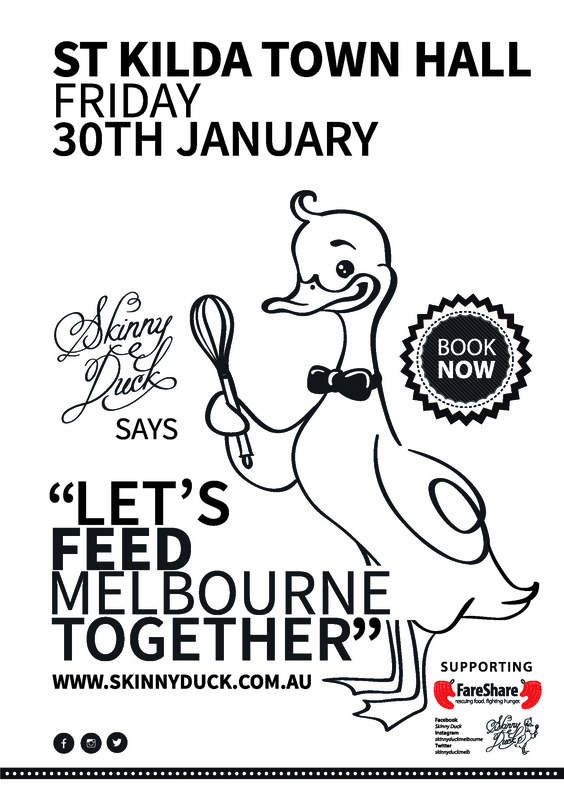 Inspired by Heston Blumenthal’s Fat Duck, Skinny Duck is a group of Victorians led by Chef Barry Iddles from Sorrento Catering, who through their passion of food and community spirit are staging a gala fund raising cocktail event to help underprivileged Victorians. As the designer of Skinny Duck it is a privileged position to work alongside other professionals who gave their time to helping those less fortunate than ourselves. We became a family who gathered together to support others and achieve our goal. To top off the night Heston Blumenthal donated 2 golden tickets to The Fat Duck to be auctioned, along with a guest appearance. Holding onto such information was a bust, we could not mention it until late the day before the event. The news spread quickly and whilst the event was close to sold out this news tipped us over the edge, to a sold out event. On the night of Friday 30 January, the inaugural Skinny Duck Cocktail Party was held at the St Kilda Town Hall, and Heston appeared as promised. I was impressed by the way he held himself in amongst all the excitement, he was sincere, genuine and down to earth, he remained composed and a true gentlemen through the entire process. I sincerely thanked Heston for his participation. All proceeds from the night were be donated to FareShare, Melbourne based charity aimed at rescuing surplus food from supermarkets, farmers and other businesses to be redistributed as cooked meals. The cocktail menu will consisted of 14 decadent canapes, (including vegetarian/gluten free), plus beverages. Canapes were prepared by Melbourne’s leading chefs, with the help of our guest celebrities. Together they will be creating specialised dishes for all to try. plus appearances from our guest celebrities including the very funny Dave O’Neil. We are looking forward to Skinny Duck 2016 and hope that you will join us for a sit down event, that will rise above this years efforts. I’d like to thank Barry Iddles of Sorrento Catering for asking me to be a part of the Skinny Duck team and participate in such a worthy cause. Marketing says; “To reach your clients, you must think like your clients”. When it comes to social media. It’s not about selling, the best approach is relating! Social media is not about being the most popular, it’s also not about selling or showing off your best wares. It’s about relating and acknowledging others for their efforts, contributions and offerings, to what ever you are sharing. The News Feed is designed to show content that is relevant to the audience, rather than showing all possible content out there. According to Brian Boland, Boland suggests, “it is important to publish content that teaches people something valuable, entertains them and makes them think creatively.” This is the reason Boland says that Facebook’s organic reach is more effective when you take advantage of paid media to meet your goal. Thanks to William Johnson here are some tips on reaching your clients without paying for your reach as the organic reach changes dramatically due to algorithms. Create good, quality content that people actually want to see and increase engagement with your fans. Re-share old content that is highly beneficial to reach different audiences within a short span of time. Make sure the content is relevant to your audience. Facebook ‘likes’ are the most popular forms of user engagement. Comments and shares are also an important aspect of social engagement. It has been observed that comments and shares of post engagement increase by 16 percent year over year and 40 percent quarter over quarter. However, this is only possible when viewers see the latest news or content based on current trends. So experiment with new styles of content for your audience. It is possible that status updates might work best for one business while videos and links may be the most effective for another. Dig into Google Analytics to see your Facebook website conversion for insights into what works best for you and determine the best time to post your content on Facebook. The Facebook Insights tab is the best place to see when your fans are online under the section “when your fans are online?” This gives you a clear picture of how many of your fans are online each hour or during specific days of the week. Ideally, when you have the most fans online, that’s the best time to post your content. Once you review your Facebook Insights, you will most likely notice that there’s really never a time when none of your fans are using Facebook. People tend to remain on Facebook for an average of 30-60 minutes. So if you post content only once a day, you can only reach fans who were on within that time frame. To reach more people, post content multiple times a day. Focus on the quality of your content and the preferences of your audience. It’s necessary to understand the Facebook algorithm to understand what drives users, so you can determine how well you can affect engagement. EdgeRank does a constant calculation between users. To know what goes into the calculation you need to know the basics. The freshness of interaction: the more recently a customer has interacted with your page, the more likely your page will show up in their feed. More frequent posting with varying subjects gives users more chances to engage with your post. Type of interaction: there are different actions a user takes to affect EdgeRank. They can like your post, share your post, comment, click links and follow your page. Different kinds of content attract different forms of engagement. With Facebook Insights, you are better equipped to see who your posts are reaching. Look at age, gender and location to make sure you are reaching the people you want to reach. Facebook Insights can reveal which content is working for the audience you are trying to target. Through story bumping, Facebook ensures that your audience sees content that is highly relevant, even if it’s a little bit older. For instance, when your friends like or comment on an old photo, it tends to rise to the top of your News Feed. With story bumping engaging content will be pushed to the top of a user’s News Feed. The more people engage with your content, the more people will see that engagement in their News Feed. There is a feature related to story bumping called Last Actor. Facebook favors any page or person you interacted with you during your last 50 interactions. Creating good quality content frequently and consistently helps you create a fan base. The best way to hit the right target is to use Custom Audiences to target people who are not your current fans. Use Lookalike Audiences and Graph Search to find people who are similar to your fans and like specific pages and interests relevant to your niche. Use the tactics above to maximize your Facebook reach and organically create your fan base. Stop selling and start sharing. The real key to true success and happiness in 3 words! I often find people in business frustrated or complaining. If we are honest, we all go there at some stage, but why? 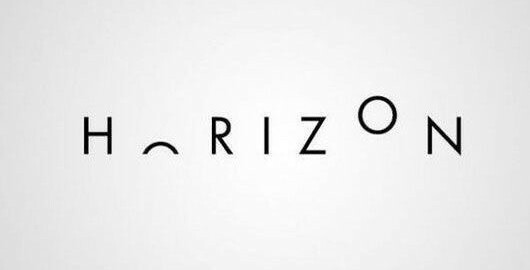 When all seems to not be working, or if everything is working but you’re complaining, then you have lost sight of one thing. ; your passion. Asking yourself why you are there, is a good start. If it’s to be better than someone or make more money, you may like to quit now. Happiness is a huge indicator of success. People may walk around looking cool and acting like they have it all, but their happy smiling face and their generosity is a sure key that they know what their passion is and they are sharing it. Be someone with a passion and share the happiness. This creative person is part of your best self. We have learned to envision success as a process of following pre-established patterns; the person who follows the pattern mostly closely, we believe, is the person who will be most successful. This kind of thinking causes us to discount and devalue our own creativity, since creative thinking has a habit of leading us toward new approaches and strategies. Make friends with your creative self and discover where your passion truly lies. We have been inculcated with fixed notions of bad and good. These inflexible ideas can cause us to overlook opportunities for genuine growth and self-discovery. But what if that awful experience turned out to be the catalyst for energizing your best self toward the recognition of your true passion? It could happen. This post was originally published on the SumAll Blog. SumAll is a teammate for digital marketers helping them do what they love, better. Get started with a free account at SumAll.com. In this article, the SumAll team shares tips and tricks that should help shed some light on how SEO may differ depending on if you want to optimize your blog versus website. Knowing the basics of SEO is an obvious prerequisite before we can understand how strategy may differ when it comes to optimize your blog. Blogging is a part of the entire SEO process in general so I would highly recommend familiarizing yourself with these basics before you read on. Here’s a useful guide if you want to dig deeper. In general, it’s difficult to differentiate between blog SEO strategy versus regular SEO strategy since blogs are a component of the overall strategy. But regardless, blogging technology in tandem with search engine capabilities have great potential to provide the most useful and meaningful information in the most efficient way possible. They say “content is king” in the SEO world, and it’s for this reason why blogs actually have a nice advantage over your average website. After all, creating a blog for your brand is at the heart of every good SEO plan to begin with. 1. Familiarize yourself with your master keyword list. Your master keyword list is pretty much your own personal marketing thesaurus. Understanding your audience and how keyword phrases interact with search engines and your users is the most important part of creating a solid keyword list. Group relevant phrases together that you think a user may search for and put more of an emphasis on thinking like a human (really). And remember, search bots can’t read the content of images so take advantage of the images alt tags by making sure you add any relevant keywords here…only if it makes sense of course. 2. Post content on a regular basis to maintain “freshness”. Website and blogs that generate new pages on a regular basis have the potential to create higher freshness scores, which will inevitably contribute to positive results. By “freshness” I mean new and relevant content that is up to date and useful. Search engines take this into consideration. The rate at which a blog increases in pages can also make search gods happy. On the contrary, content that does become stale doesn’t necessarily lose value since search engines realize new content isn’t always better. Many factors are taken into account when deeming a page’s relevance with average amount of queries playing a large role. Take a look at this article if you’re interested in more information on freshness scores. Search engines cache all of this information and return relevant queries based on the keyword entered. Ensuring all of these elements are well polished is important, takes a low amount of effort, and ultimately necessary for a strong showing in search engine results. Tying this all together with your master keyword plan makes it easy to drive organic traffic to your blog. If you want to increase unique visits and build organic traffic, understanding how keyword frequency works here is very important. 4. Add a rel=publisher tag if you have a google+ page to help optimize your blog. As the name doesn’t suggest, this is for all branded websites, not just publishers. What rel=publisher does is allow the webmaster to form a verified connection between their site and google+. To get started with google authorship and publisher, check out this guide. 5. To paginate or not to paginate? There is much debate in this area, but we here at SumAll planted our flag firmly in the pagination camp. For one, it provides smaller chunks to the viewer allowing for an easier read, and two, it places more attention on important call to actions. More siginificantly are the affects it has on page crawling. Your blog may be much more difficult for a search engine to crawl if it can’t define any logical site structure. This is also where maintaining clean URL rewriting comes into play. Yes, we all are very familiar with overused sharing button that seems to exist on every webpage out there. The reason they (literally) stick around? They just work…but especially on blogs. My advice to to make it easy and engaging for the viewer to be inclined to use these buttons. You may as well design a new and engaging functionality here to stand out from the crowd since so many social media sharing plugins out there all look the same and soon become nothing more than graphic “noise” to the viewer. Finding the right person for your business or idea comes down to asking questions and asking the right questions. Some important points to focus on are; What do I need? What will I be doing and What files will I need to bring those things to life? When do I need it by? Am I aware of my 5 W’s? Who, What Where When and Why? Can I measure the success of what I want to achieve with my designer? All of these questions are important to bringing your visions to life. Too many times I hear how someone has not fulfilled a project, but on looking further, I see it’s because they didn’t ask themselves these important questions. out. Every business needs to invest in the intellectual property of their business, investing in a creative, is investing in the value and potential sale value of your business. yes, with enthusiasm and excitement, because that person trust us to deliver them a confident future with their business, ideas, product or service. Make your dreams possible by employing the right person for your project,not everyone will fit your mix, but always ask them to refer you on if you feel you could find someone better. Finding the right graphic designer is important, not every designer you speak to will speak your language. Chose a designer that people refer to as someone who can listen to your visions. Choose a Designer that can not only design, but has a marketing and communications background. with clients. Being involved in a local community, we always hear great things about Josie and Share the Word Design Studio. An energetic can do attitude, passion for design and life, gives us full confidence in using Josie and Share the Word, moving forward with our business. As I walked back along the path, I watched as the sun shone for the first time today. Through the trees I saw a lady walking along where I have spent the last 2 hours collecting rubbish. I reflected on how she’d have no idea I had been there and she could enjoy walking a distance of 2km without any sign of the modern world. Collecting Rubbish didn’t start 3 days ago, but documenting it did. As a designer with an extensive advertising background, I daily rack my brain on how I may communicate to people the damage they cause by not recycling, by littering and by not assuming any responsibility for rubbish they see; yet they refuse to pick it up. The words, rubbish, environment, litter, pollution, recycle have become deaf words to our ears, in our attempts to find inner peace, we refuse to listen to the reality of the effects of rubbish and as a community would rather point fingers or blame others, than let it begin with us. That’s where this is different. Starting 3 days ago I decided to take on the 1 tonne challenge; to collect 1 tonne of rubbish, in the hope that I set an example of my mantra “If you see it pick it up” From a marketing perspective I will not make a bag to support my cause, nor a badge or any other paraphernalia to communicate my cause, however I will design for myself a T-shirt in which I will get to wear once I have reached my goal of 1 tonne of rubbish and in doing so I will show the effects on my body from undertaking the collection of 1 tonne of rubbish. On the course of this challenge I will not ask anyone for help, however I welcome anyone who would like to join the challenge. All you need to do is email me and let me know, alternatively you can post on my business Facebook page of Share The Word Design Studio, with your support or ideas. Ideally, I’d love to receive sponsorship and donate the monies to a worthy charity, such as Sea Sheppard, for now, I will let this challenge unfold, as I believe that anything successful in life is driven by “passion and inspiration” My true passion is the gift of the ocean and my inspiration are the magical creatures that exist within it. They deserve our respect and this is the best way I can begin. In the course of the 1 tonne, I estimate it will take me 191 days to complete: if I take the statistics of rubbish collection, over the last 3 days. Today I collected 1237 pieces of rubbish off the beach, the pieces range in size from 1cm pieces of plastic, bottle tops, plastics bags, chocolate wrappers through to plastics lids and containers. The items I am collecting are what most people wouldn’t bother with, but it’s the small items that are causing the damage. We can make a difference, by aiming for zero waste in our own lives, by educating ourselves on the real effects of plastics on our food and our bodies and making choices that will affect your life and flow onto the generations to come. Collaboration is one of the greatest ways to work. I continue to say this, but my work is a privilege. Having your own business, requires you to go the extra mile and in doing so, you’re not about to chose just anyone, to assist you in getting where you’d like to be. This advertorial will appear in the second edition of Mornington Peninsula Garden and Lifestyle Magazine. With it in production as I write, the initial production saw myself, with James and Kristen Ross working closely, along with some fantastic freelance professionals. The goal for me, was to always impart my skills to James and have him independent in his production and this has come to light in just the second production. To produce a magazine takes more than design skills, however James has surely proved himself. As the creative process unfolded James came to me requesting my professional direction, which I gave with great enthusiasm; “seeing another issue come to life was genius for me” as this meant that success had been reached on the initial production and James and Kris were able to offer more people a chance to have their stories told. In the last 3 months I have been working closely alongside Warner Hedrick III for the transition of one of the most stunning locations for dining and functions on the Mornington Peninsula. In these last 3 months I have been encouraged by the willingness of Warner and his team to embrace new ways of communicating to their clientele. Warner a long time food and beverage leader, comes to the floor with such enthusiasm and pizazz, that just to encounter him in house, is an invitation in itself. I call him the “Clint Eastwood of the Peninsula” with his one liners and an infectious smile, his level of hospitality is certainly one for the Peninsula to aspire to. The winter season ahead looks to be promising. The Pavilion is located beach side, with an outside deck, warmed with fire and cosy blankets, lit by candlelight in the evenings, you can dine in the dining room, for lunch and dinner by the open fire or enjoy breakfast in the Cocoa Bar.